Non-guest visitors are NOT allowed on Haka Lodge premises between 8 PM - 8 AM. Non-guests found on the premises between these times will be served with a Trespassing Notice and reported to the authorities where appropriate. Check out time is 10:00. If you fail to check out on time, you will be charged a $50 (or 50% of a night's stay, whichever is greater) late check out fee to the credit card you checked in with. Any voucher given when booking pre-paid accommodation (from i-Site etc) must be presented at check in. Full payment will be required if you do not have a voucher. If you do not advise the hostel you are cancelling, your card will be charged for the first night of your stay. Alcohol may only be consumed in communal living areas, such as the lounge, kitchen or outdoor deck area. Guests who set the fire alarm off with, for example, excess use of aerosol, use of matches or smoking cigarettes, will be charged the full fire service call out fee of $1500. Smoking is not permitted on the premises. Any customer found smoking on the premises will be evicted and no refund will be given. Guests causing a disturbance during the hours of 10:30 PM and 9 AM will be given a warning. If the disruption continues, guests will be charged a $30 disturbance fee. This does not apply for genuine emergencies. Violations of any of the above policies will result in immediate eviction with no refund. 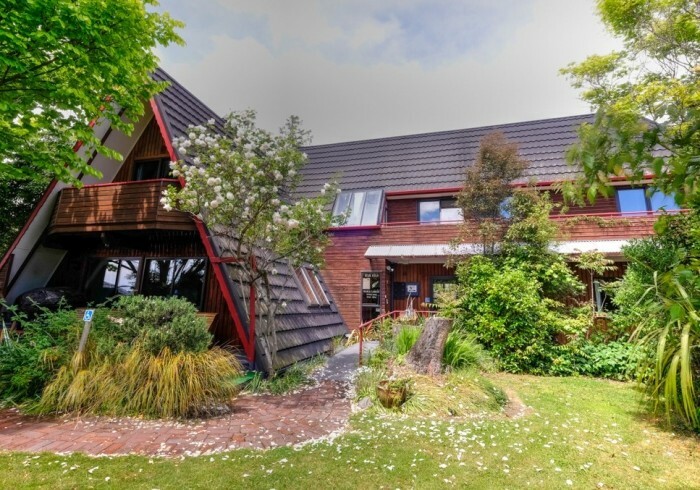 Haka Lodge Christchurch is small but perfectly formed! As our first and original Haka Lodge it holds a special place in our hearts. Tucked away in a beautiful garden setting it offers what we like to call 'Home Style Luxury'. Located just a short drive or bus ride from Christchurch CBD, the hostel is also close to the city's best beaches and has unlimited car parking for self-drive guests. The hostel boasts all our usual Haka extras - free unlimited WiFi, super friendly staff, modern amenities - but it also has a true Kiwi family vibe complete with vegetable garden and cosy log fire. If you're looking to experience the real Christchurch, look no further! We offer a range of accommodation options from dorm beds, double rooms and twin room as well as our two bedroom self contained apartment.